Weekend Gardener at Seaboard Ace Hardware! – Ace Hardware Corp. Weekend Gardener at Seaboard Ace Hardware! Seaboard Ace Hardware will be joining several other Ace Hardware locations in North Carolina in the Holiday Round Up for Kids fundraiser. Seaboard Ace will be utilizing the Round Up donation function at checkout to benefit Duke Children’s, adding to their annual support of the hospital through miracle buckets, calendars, and other endeavors throughout the year. The Holiday Round Up fundraiser officially began on Friday, November 24th and will run through December 24th. 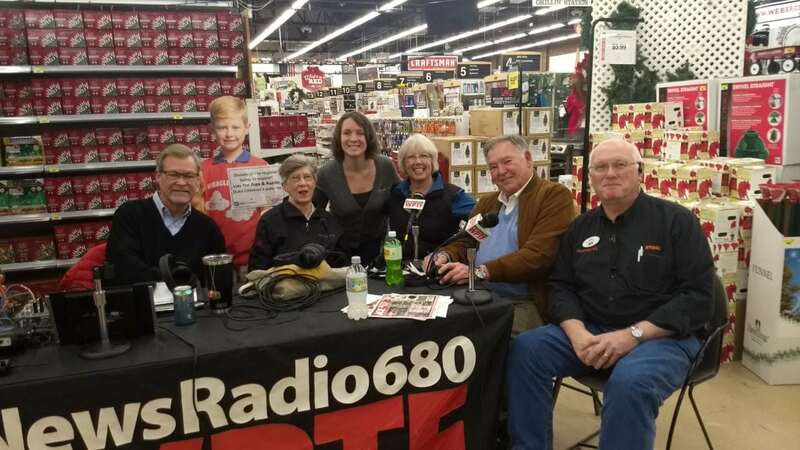 As part of the kick off of this fundraising endeavor, Seaboard Ace invited Duke Children’s representative Kelly Partner to participate in a special broadcast of The Weekend Gardener on News Radio 680 WPTF. The Weekend Gardener broadcast live from Seaboard Ace on Saturday, November 25th – conducting their award-winning talk show designed to answer listener questions and give advice about all facets of gardening in North Carolina and beyond. Left to Right: Mike (Weekend Gardener host), Anne (Weekend Gardener host), Kelly (Duke Children’s), Pam Beck (Garden writer, lecturer), Rufus (Weekend Gardener guest host), and Wayne (Seaboard Ace). Kelly joined hosts Mike Raley, Anne Clapp, Rufus Edmisten and special guest Pam Beck to talk about the fundraising happening at Seaboard Ace to benefit Duke Children’s. Thank you Seaboard Ace and The Weekend Gardener for supporting Duke Children’s and spreading the word about pediatric research and care in our area! You can donate to Duke Children’s by making a purchase at participating Ace Hardware locations, including Seaboard Ace, and choosing to “Round Up” your purchase total. All donations will be used by Duke Children’s to help enhance our clinical care, research, education, and advocacy programs – which all help to save lives of kids right here in North Carolina. Learn more about Seaboard Ace here. And learn more about The Weekend Gardener here and tune in to WPTF 680(AM) to listen every Saturday 8:00am-11:00am.